Preheat oven to 180C, grease muffin tins or line with wrappers. In a small bowl combine oats and milk, stir and set aside. Combine oil, eggs, maple, bicarb, lemon zest and vanilla in a large bowl and whisk well. Add oat combination and spelt flour and fold together. Fill half the cupcake tin with batter, put a few cherries and blueberries in and fill remaining, finishing with a few more cherries and blueberries. 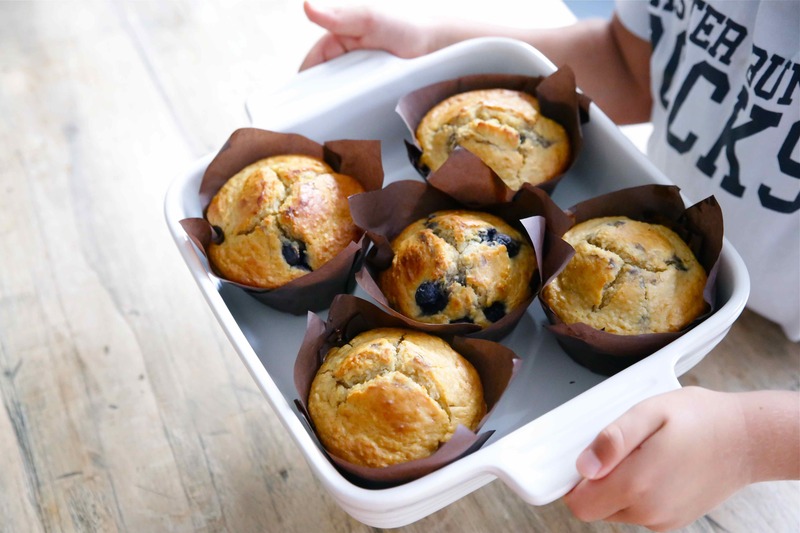 Place in oven to cook for 30-40 minutes (depending on the size of the muffin tin, smaller ones should only take 20minutes). Allow to cool in tins for 10 minutes before transferring to rack to finish.